Reflecting on the gospel for Mothering Sunday, Linda from our Theology team reflects on the parable of the Prodigal Son (Luke 15:1-3, 11-32) and the love of all parents around the world. The story of the Prodigal Son has a very real and human feel to it. The son who is impatient to leave home but wastes all his money and has to work on a pig farm. The other son, who is angry at how his brother is received with open arms and a grand celebration, whilst he feels unappreciated. As we journey through Lent, it can feel like a long time until Easter. Maybe we have already been making a genuine effort to change, to learn new habits. Perhaps we have given up something we really like and it’s hard to keep going! For daily reflections throughout Lent see our Lent calendar. This parable brings us hope. Because God the Father sees us whilst we are still a long way off. And we know that God is love, compassion and mercy. Perhaps we have got caught up on what we have been doing wrong, rather than focusing on God’s love for us. Sunday is Mother’s Day, when we remember all the good things our mothers have done for us, out of love. If we are lucky, then there is nothing like the look on our mother’s face when we come to visit. There is nothing she wouldn’t do for us. Perhaps the father’s expression in this story is something like that too. 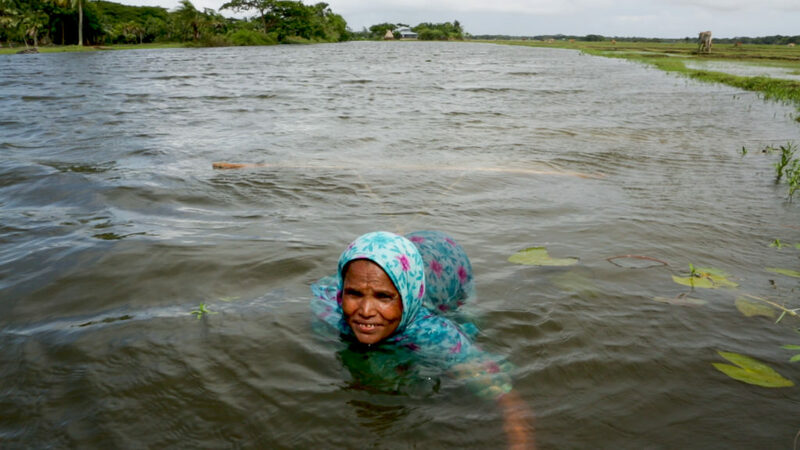 Mahinur fishing in the river. She works hard to try and provide for her family. 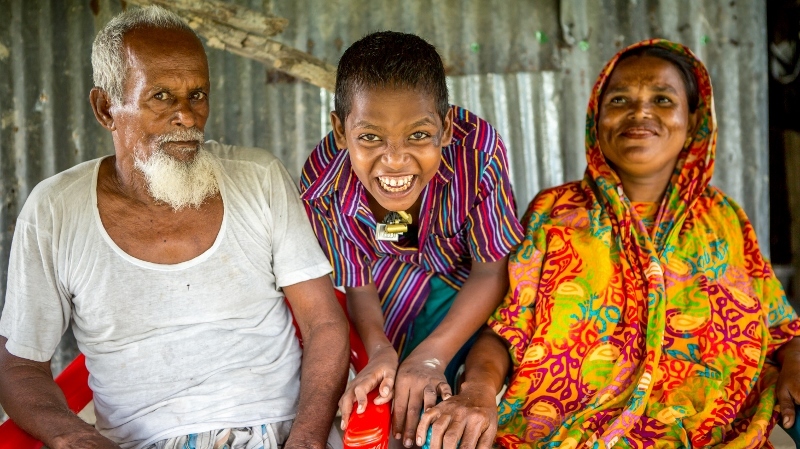 In Bangladesh, Mahinur is working hard to make sure that her disabled son has enough to eat. Her husband is also disabled and can’t work. Donate to our Lent appeal to support mothers like Mahinur around the world. Can we pray especially for Mahinur today, as well as our own mothers on Mothering Sunday? Loving God, sometimes I struggle and feel far away from you. Yet you are always with me and your love surrounds me like a mother’s. May I take courage and hope from knowing that I am so loved. Amen.